I am excited to share the opportunity we have to grow the literacy program we launched in Fond des Blancs (FdB), Haiti last year. After visiting FdB last year and learning about the illiteracy problems that keep people from the opportunity to obtain one of very few jobs available, I knew we had to do something. Education in Haiti is completely privatized. Though so many children in America claim to dislike school, they are immensely privileged compared to children of Haiti. Only those who can pay for tuition and uniforms may go to school. Poor families make incredible sacrifices to give their children the gift of education knowing it is their only hope to escape the brutality of severe poverty. The reality of the problem is this: Only 55 percent of Haitian children go to primary school, only 2 percent finish secondary school, and about 1/3 of Haitian youth (15-24) are estimated to be illiterate (source). After meeting young people in FdB who asked for help to go to school, ACR sponsored its first five children to begin in 2012. We shared our joy and success in this previous post. So I’m now excited to share that we have the opportunity to grow our education program in FdB. For a cost of $3,150, we can make it possible for 26 adults to go to literacy classes with our new partner facility called CENA (Centre Educatif de Nan Akou). We are also seeking funding to grow our child education program in Puits Laurent, a tiny village high in the mountains in the FdB area. Will you give the gift of education to the poorest of the poor in FdB? Imagine 26 adults who can become literate and pave a brighter pathway ahead. And maybe, like me, you can picture those five and more children beaming proudly (see three from 2012 on their first day above) as they walk into school in a new uniform for the privilege of going to school because we care enough to make it happen. THE NEED: Tuition and supplies for 26 adults and five children (the poorest of the poor) to attend school in Fond des Blancs, Haiti for $3,150. If you can help us help, please visit our giving page. All donations to ACR are tax deductible to the extent allowed by law. ACR is entirely volunteer run and our actual overhead is less than 1%. That means we are blessed to assure that all donations go directly to helping the least. Any funds received in excess of a project’s budget will go toward other current projects. This entry was posted in Uncategorized and tagged child education program, Education in Haiti, Fond des Blancs, Haiti on November 27, 2013 by A Child's Refuge. We have gotten word from our partners in Haiti that I’m excited to share. 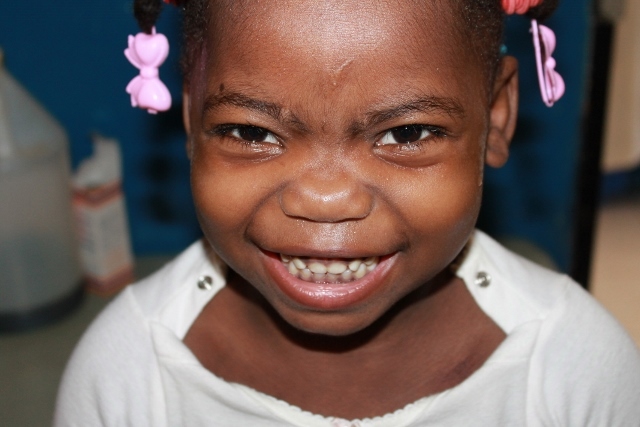 A Child’s Refuge is meeting critical needs of children in Haiti. In the past few months, we have been able to include three additional therapeutic food products, RUTF, ReSoMal and Zincfant, in addition to the F-75 Therapeutic Milk we provide to a rural clinic in the mountains of Haiti. Our help is making the difference between life and death for precious children who are truly the least of these we serve! The following children were served in the clinic in October 2013. Each of them is suffering from a severe form of malnutrition called Kwashiorkor, and all received Therapeutic F-75 Milk to kick start their recovery process. It was provided by A Child’s Refuge thanks to our generous donors’ support. The day Jackenson (left photo) was admitted to the rescue clinic, he had a bit of fish to eat; the day before that he had some corn. Though he is nearly five years old, Jackenson weighs only 21 pounds. This is his third time with Kwashiorkor. He is able to stand and walk with some assistance. To start treatment, he was given F-75 Therapeutic Milk before being administered a fortified peanut butter product. Precious Jaffenalie (above right photo) is three years old and weighs 30 pounds. After one of her sibling recently died from the effects of Kwashiorkor, her family carried her down mountain paths (about a six-hour trek) to seek help for her. Her family lives in a one-room home made of dirt, rocks and tin. She has been swollen with kwashiork for for over a month now. Jaffenalie was started on the F-75 milk and is making progress to heal. This is precious Dachley. She is six years old and weighed 45 pounds when admitted. When admitted, she was swollen from Kwashiorkor, a common side effect of this form of malnutrition. The swelling can cause painful cracking of the skin as visible on Dachley’s legs in the photo (left). This is her 3rd time to suffer with it; the last time was just one month ago. Dachley was started on the F-75 Therapeutic milk and then graduated to the fortified peanut butter product. She is making good progress now. I am in regular contact with our partner clinic, and A Child’s Refuge remains ready to provide additional quantities of the F-75 milk when supplies run low. Additionally, we have sent the following new products to Haiti at the request of our partners. We will provide updates as soon as we get word of their use in the clinic.I hope you can see that our efforts to provide F-75 Therapeutic Milk to children in Haiti has been making a difference. It is providing the initial help for the severely ill, and it is also helping dozens of precious ones to strengthen their bodies to be able to take in solid foods and fortified peanut butter. We are helping children to recover more quickly from their suffering due to severe malnutrition. RUTF (a ready-to-use food product that requires no preparation) provides 100% of the energy, fatty acids, protein, and micronutrient requirements of infants and children from 6 months old to five years old. It is energy and nutrient dense, important because malnutrition shrinks the stomach. This product was designed for rapid weight gain, so that the body can rebuild and be able to handle normal foods. We have also provided ReSoMal, a powder oral rehydration solution (ORS) exclusively for people suffering from severe acute malnutrition, and ZinCfant, a zinc sulphate tablet used in cases of acute diarrhea in young children which is also prevalent in the clinic’s patient population. I hope you can see how much our partnership is resulting in life-saving help for severely ill children. ACR is able to get highly specialized products to treat the most severely malnourished children all the way to a tiny mountain village in Haiti thanks to our friends and donors. 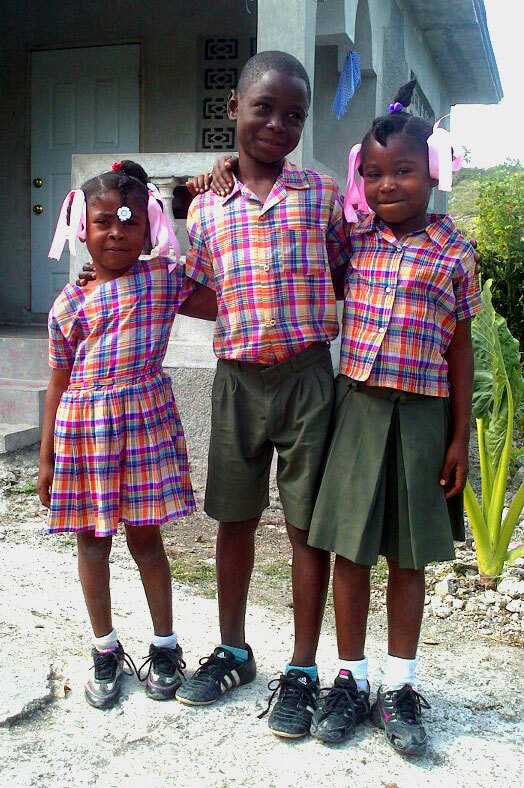 We appreciate your support and dedication to the children of Haiti. This entry was posted in Uncategorized on November 18, 2013 by A Child's Refuge. Since our launch last year, we have been blessed to be able to answer the call from partners in Haiti seeking highly specialized therapeutic food products. 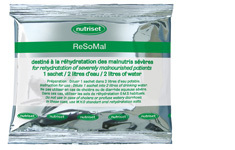 These products are Unisef-approved in treating severe acute malnutrition. We quickly responded, and our generous donors joined us. ACR located the three manufacturers of these products–two in Europe and one in the U.S. In the past year, we have worked to establish accounts with the manufacturers and, ultimately, we have supplied F-75 Therapeutic Milk, ReSoMal and ZinCfant to the least in Haiti. These nutrient-rich products are used as a first course of treatment for severe acute malnutrition and severe acute diarrhea. With your help, we have together provided direct aid in nursing back to health the sickest of the sick among the poorest of the poor. I write today to share a new opportunity to send another therapeutic food product to Haiti. I learned that a clinic we support has recently opened an outpatient feeding program to help stave off rampant malnutrition in their region. They see about 100 patients each week, and they expressed an urgent need for RUTF (Ready to Use Therapeutic Food), ReSoMal and Zincfant. RUTF is a ready-to-eat soft spread that requires no preparation. It provides 100% of the energy, fatty acids, protein, and micronutrient requirements of infants and children from 6 months old to five years old. It is energy and nutrient dense, important because malnutrition shrinks the stomach. This product was designed for rapid weight gain, so that the body can rebuild and be able to handle normal foods. We have secured three pallets of RUTF to ship to our partners for immediate distribution. Will you consider supporting this effort? We need your help to get this help to the needy. Just visit our Giving Page to make a quick online donation or to learn of other ways to help. This entry was posted in Uncategorized on September 21, 2013 by A Child's Refuge. ACR is pleased to announce our partnership with Nutriset, a developer and manufacturer of nutritional products for the world’s most severely ill children. We have acquired two specialty products to help the most severely, acute malnourished children at a mountain clinic in Haiti. Did you know that diarrhea affects 2.5 billion children and causes the death of 2.7 million people? For children under the age of five, diarrhea is the second highest cause of death after pneumonia. In the developed world, we can run to the drug store and get an inexpensive over-the-counter remedy for this uncomfortable problem. But for the poorest of the poor of the world, diarrhea is a deadly problem. And the children of Haiti are very severely susceptible given it is often associated with malnutrition, and it can be both a cause and a consequence. 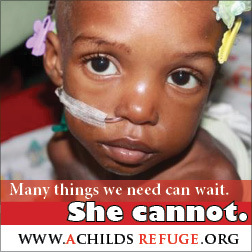 That is why we need your help to provide ZinCfant® tablets to the severely malnourished children of Haiti. ZinCfant® reduces the duration and severity of diarrhea attacks and prevents its return for three months following treatment. You and ACR can help to save the lives of the most susceptible little ones. We can also provide ReSoMal® to help children suffering from severe, acute malnutrition. Seriously malnourished children often suffer from a deficiency of potassium and various other mineral deficiencies, as well as from an abnormally high level of sodium. To begin to heal, they need this specific oral rehydration solution containing less sodium, more potassium and more magnesium, zinc and copper. That sounds very technical, and it is. But it is simply a therapeutic, nutritional product that gets children back to health more quickly and effectively. Once we learned about the opportunity to provide this product to the most needy in Haiti, we made it happen because ACR cares deeply for the poorest of the poor and the weakest of the weak where we serve. Will you consider joining us? We need your help to get more help to the needy. A gift of $50 will supply both products for about four of the most desperately ill little ones. Thank you for your support and prayer. With the addition of ZinCfant® and ReSoMal®, we will be helping to increase the level of care for the most severely ill children of Haiti. We are thankful for the opportunity to respond to the call. This entry was posted in Uncategorized and tagged Diarrhea, Haiti, Nutritional Food, Severe Malnutrition on June 5, 2013 by A Child's Refuge. This entry was posted in Uncategorized on March 27, 2013 by A Child's Refuge. I arrived home from a trip to another state last night just before a Spring snow fall. Schools closed and I took a vacation day to be with my children. Spring snow is hard to accurately predict–or the weather people missed something. It was just cold enough to snow but not enough to stick long. We all should have been at work and school. At midday, I went out for quick errands. I pulled into the bank parking lot and saw them, Brian and Marla. They are a homeless couple that live among the trees behind our Walmart. I hadn’t seen them in weeks. Brian and Marla are chronically homeless. They admit that a lifetime of addiction and some other bad choices led them into a vicious cycle of instability. They never expected to be “out there.” Burned bridges with family who had just had enough eroded their only real help. And so they bounce between our town and others nearby just barely hanging on. I know all of this and realize they had some ability to choose differently. But who am I to judge? I only know that I cannot ignore the downtrodden in my path—and Brian and Marla are often in my path. When I pulled into the bank lot today and saw them, I wondered if I could possibly sneak out the back. Had they seen me? Ha! I won’t ignore the downtrodden? I almost did. I decided to roll up to the light and quickly greet them as I went on my way, but I could see Marla was crying. They had been packing up their camp behind Walmart. Neighbors over the ridge had accused them of stealing firewood; he denied this vehemently saying, “They just don’t want us in their backyard.” They were given two weeks to vacate the land. So today as Brian packed up the tent and things, Marla had stood holding a sign as snow chilled her to her bones. I drove up just then. Thanks to you friends here at ACR, I was able to quickly set them up at a nearby motel. Marla wondered if she should wait in the car. No, I replied. I wanted to make sure she was treated with respect. The registration manager was very kind and offered a discounted rate. He told Marla about a computer in the lobby, free breakfast and free long distance anywhere in the U.S. and Canada. She’d call her father; he’s been ill. I could feel her relief. The two nights will give them a short reprieve, and it is supposed to warm up nicely in that time. These are short-term helps and not solutions, but it was a most providential encounter. Marla could not stop thanking me. Her tiny, frail body felt fragile when she’d give me a hug. I told her that friends of ACR made it possible. As tears fell, she told me about the last week (not only difficult but scary), and how timely my help was. Our encounter today was no coincidence. No, it was a providential encounter, and this is my thanks to all of you who enable us to be the hands and feet of God’s love to the neediest of needy. This entry was posted in Uncategorized and tagged homeless on March 25, 2013 by A Child's Refuge. 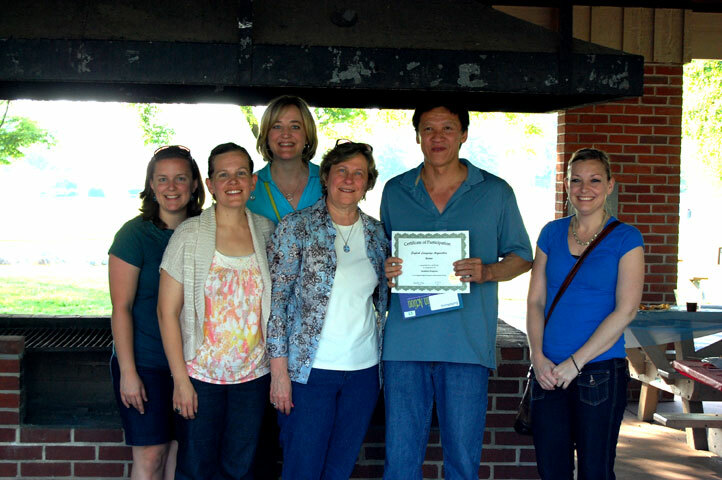 I (Kristie) launched and lead the Agape English Program at King Street Church in Chambersburg, PA. We teach English to unlikely neighbors for free. What might surprise readers is that I am not a teacher nor do I have any formal training. 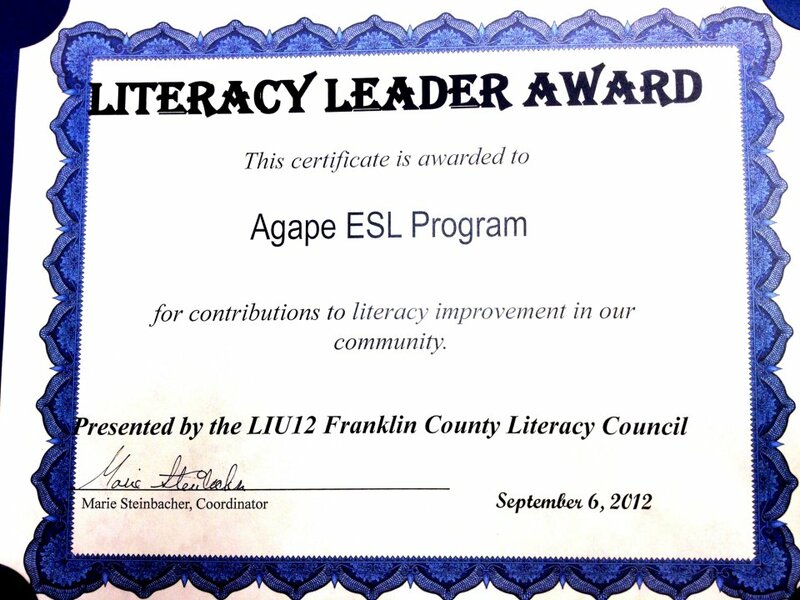 Yet, our program has been recognized by the Franklin County Literacy Council for its contributions to our community. Are you curious how it all started? Back in the fall of 2010, my spouse and I joined with several Haitian families to form a bible study at church on Sundays. We studied together in Kreyol and English, and we prayed for each other. The Number One prayer requests week after week: English classes on Saturdays at no cost. After weeks of this, a friend turned to me and said, “You speak English. You teach us.” So with a few resources given to me by a friend who is a real ESL teacher, I started meeting with 6-12 Haitian ladies each Saturday to teach them English. Shortly after that, I met my Indonesian friend, Ruth. When she learned that I taught English, she asked if she could bring 27 of her friends?!? To make a long story short, I approached the church, held a training, found a co-leader for the launch, and we took off two years ago this very month in March 2011. We have anywhere from about 30-50 students each Saturday evening, and 20+ kids. Our program is one of a few in our town, if not the only one, that is free with free childcare. Wholly volunteer run, we have sustained two solid years even with some comings and goings of students and helpers. Amazingly, our needs are always met. Carlos V: When learning English words for “family” (i.e. father, mother, wife…), Carlos said with a sadness in his eyes and voice, “I not see my wife and children for three years.” He said he doesn’t make enough money to travel to see them, to get them Visas, and that he has no options for employment back home in Mexico. After class recently, Carlos told us that because of the English he learned at our class, he was able to take and pass an exam to get a promotion at work. I exclaimed, “Woo hoo! More money! Good job!” And he said, “I no care about the money. I learning English.” We adore Carlos. Julio J: Julio is new to our program. He probably has the best mastery of English compared to the others. He has multiple questions every week. He is funny and a wonderful addition to the class. Last week, Julio said, “I am sorry I ask many questions. I just want to know.” I replied, “No problem, Julio. We love it! Ask whenever you want to. We are here to help.” He said it is because he is so comfortable that he can make jokes and ask alot. He said he’s never had anyone to help him with those questions. I reminded him that we are not only teachers-students, but friends. And I am quite certain I saw a tear well in his eye as he quickly thanked me and turned to leave. The photos above are from our “graduation” party last May. 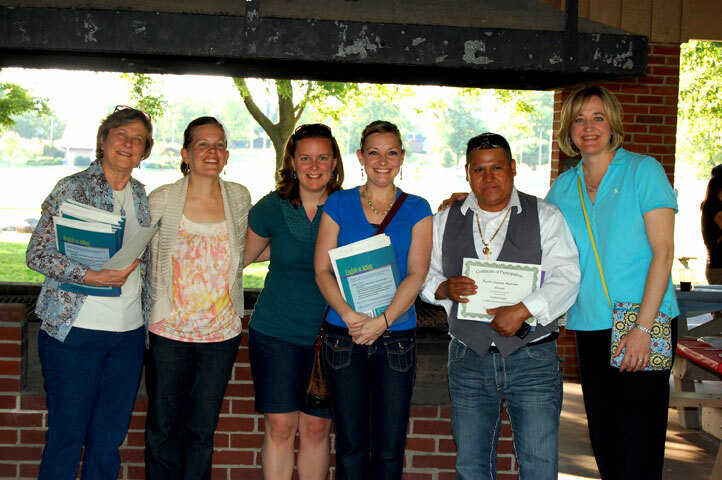 The students loved receiving their certificates of accomplishment, and we all enjoyed a fun time together. If you are local and would like to visit our program to see what we do, please contact us. You don’t have to be a “real” teacher; I’m not. You only need to love unlikely neighbors and be willing to give your time to help them. Additionally, we are looking to purchase an Oxford Picture Dictionary for each student for this year’s ceremony. At nearly $20/each, it is a lofty goal. But this one book is a primary text and we are asked often for a copy. If you would like to help us give them this valuable learning tool, please just visit our giving page. This entry was posted in Uncategorized and tagged Agape English, Chambersburg, Just Love, Local on March 14, 2013 by A Child's Refuge.